The Swiss company is paying about 5 times the estimated 2012 revenues of $2.4 billion to acquire Pfizer's infant nutrition business. The world's biggest food group will pay $11.85 billion in cash for the acquisition. Nestle is paying 20 times current year Ebitda. Even if the food conglomerate grows at 15% annually for the next 5 years, the new investment would generate less than 7 % return. However opportunities to buy big and potentially high growth markets are also rare. FB disclosed with additional filings that its profit in the first quarter fell by 12 percent, to $205 million. However its revenue exceeded $1 billion for the second consecutive quarter. FB has 901 million monthly active users, 30 percent more than a year ago. Facebook recently paid $1 billion to acquire photo-sharing company Instagram. The news that the Walt-Mart's subsidiary, Wal-Mart de Mexico, had paid millions of dollars in bribes to support expansion in Mexico, has pushed the stock down in stock markets. The stock of Arkansas headquartered fell almost 5 percent yesterday, accounting for about one-fifth of the losses in the Dow Jones industrial average. The world’s biggest mobile phone operator is buying corporate telecoms specialist - Cable & Wireless Worldwide (CWW). This will help the Vodafone to be a leading player in both fixed-line and mobile telecom services to Britain’s businesses, and it could make cost savings by using CWW’s networks, both in the UK and internationally. Vodafone has agreed to buy CWW for £1.04 billion pounds. TCS added 19,156 professionals (gross) and 11,832 employees (net) in the previous quarter to take its total headcount to 2.38 lakh. It is likely to cross the coveted 3,00,000 mark in FY 14. Hindalco Industries fourth quarter and twelve months results for FY 12 will be published on 08-05-12. Labels: hindalco fy 12 results. Samvardhana Motherson Finance Limited (SMFL), is coming out with an Initial Public Offering, scheduled to be opened from May 02, 2012 and close on May 04, 2012. ICRA has assigned grade 4 for the IPO. TBZ is a well-known and trusted jewellery retailer in India with 14 showrooms in 10 cities across five states. TBZ primarily sells gold jewellery and diamond-studded Jewellery. All the showrooms are under trade name of “Tribhovandas Bhimji Zaveri”. The flagship showroom in Zaveri Bazar, Mumbai, was established in 1864. The company plans to open an additional 43 showrooms by the end of Fiscal 2015. The public issue is to fund expansion (Rs 19cr), augment additional working capital requirements (Rs 160cr) and for general corporate purposes (Rs 21cr). Public issue of 16,666,667 equity shares of Rs 10 FV, in the price band of Rs 120-126. The company has grown at a CAGR of 40% from FY08 to FY11. This was primarily due to branch expansion and steady increase in gold prices during that period. 1. No independent valuation was conducted for the acquisition of 100% of the share capital of Tribhovandas Bhimji Zaveri (Bombay) Limited, a company which was owned and controlled by the promoters. 2. TBZ has not identified the exact locations where the company propose to establish new large format high street showrooms. 3. The RBI has advised banks to classify accounts of Jewellers as ‘high-risk’, requiring banks to apply enhanced due diligence before granting loans to Jewellers. This may adversely affect the ability to obtain financing in a timely manner and on acceptable terms. 4. The objects of the Issue for which funds are being raised have not been appraised by any bank or financial institution. 5. TBZ was not compliant with the requirements of Section 383A of the Companies Act. 6. The Indian retail jewellery industry is extremely competitive. 7. The average cost ranges from Rs 1 to 10. TBZ is a small time player in the organized retail jewellery market. At Rs 120-126, the company is demanding a valuation around 13 times, on its FY 12 earnings, on its expanded post issue capital of Rs 66.66cr, which is very expensive. More importantly, nearly 70% of the IPO funds are intended to be utilized for working capital needs. For expansion the company has earmarked just Rs 19cr (less than 10%). TBZ is yet to identify the places where they want to open their branches. The fruits of expansion, if any, will accrue in FY14. In all probability the IPO funds will be utilized to reduce the bank borrowings. Even taking account the brand image the company enjoys the IPO looks expensive. AVOID INVESTMENT. 1. Proofpoint, a maker of corporate security software. 2.Infoblox, the network software maker . 3.Splunk, a data analysis company. The rare appearance of two chiefs of the same name - Larry, at a civil court, is something special to watch. Oracle and Google are fighting over whether Google’s Android operating system violates copyright on Java, the open-source computing language that Oracle got when it acquired Sun Microsystems. Oracle says Google went out of its way to avoid getting a license to use Java, and has shared internal Google emails to suggest as much. Google says Java is free, and cites an Oracle post to that effect. Therefore, Google says, we don’t need a license. Forex reserves rose by $115.1 million to $258.76 billion during the week according to RBI. The country's central bank gold reserves remained unchanged at $27.02 billion. The sensex 30, will have an new entrant from 11-06-12. Dr. Reddy's lab will replace DLF. Microsoft reported a decline in net income to $5.11 billion, in the Q1 of CY12, compared with $5.23 billion, in the same period a year ago. Revenue rose to $17.41 billion, from $16.43 billion a year ago. RIL has recorded its second consecutive quarterly drop in profit, dented by weak refining margins and declining gas output from its offshore fields KG-D6. During the last quarter of FY12, RIL’s total income by 18.86 per cent to Rs 87,477 crore versus Rs 73,591 crore in the quarter ended March 31, 2011. However, other income of the company zoomed 150 per cent to Rs 2,295 crore as compared with Rs 917 crore in the comparable quarter. For the full year of 2011-12, RIL has posted a net profit of Rs 20,040 crore as compared to Rs 20,286 crore in FY 2010-11, a decline of 1.2 per cent. Sales year-on-year grew 31 per cent to Rs 339792 crore. Total Income during the period rose to Rs 3,36,096 crore from Rs 2,51,222 crore for the comparable period, a surge of 33.78 per cent. Godrej Group Chairman Adi Godrej has been elected as the president of the Confederation of Indian Industry (CII) for 2012-13. RIM maker of BlackBerry, launched its new smartphone ‘Curve 9220’ here. It is priced at Rs 10,990. The company’s 2012 first quarter ending March 31 is at $2.74 billion, down 13%, compared to $3.16 billion in the same period a year earlier. Intel’s revenue reached $12.91 billion in the quarter, slightly up 0.5 per cent year-on-year. Markets in Europe and U S closed higher yesterday, on the back Spanish debt sale. Asian markets, today are trading in the positive territory. Our markets are expected to open and remain in green. FIIs were net buyers yesterday in cash market. FMCG major ITC replaced RIL as most influential stock on the exchanges. At close yesterday, ITC has a weight-age of 9.25% compared to 9.23% of RIL. Sensex weight-age refers to the value of company's free-float shares traded in the exchanges. The revenues of Coca-Cola grew 6 percent to $11.14 billion, compared with $10.5 billion in the first quarter last year, propelled by a 5 percent increase in sales volume driven by even larger increases in emerging markets. The world’s largest supplier of information technology services reported its first-quarter revenue at $ 24.67 billion and net income of $3.07 billion. Its operating earnings to rose 9 percent, to $3.3 billion, and its operating earnings rose 15 percent, to $2.78 a share. ISSUE OPENS ON 24-04-12 AND CLOSES ON 26-0412. TRACK RECORD OF BRLMS IN RESPECT OF IPOS MANAGED IN THE LAST 2 YEARS. The company plans to open an additional 43 showrooms by the end of Fiscal 2015. The public issue is to fund expansion (Rs 19cr), augment additional working capital requirements (Rs 160cr) and for general corporate purposes (Rs 31cr). NAV as on 31-12-11 is Rs 32. The company will have post issue equity base of Rs 66.66cr. 2. TBZ has not identified the exact locations where they propose to establish new large format high street showrooms. TBZ is a small time player in the organized retail jewellery market. At Rs 120-126, the company is demanding a valuation around 13 times, on its FY 12 earnings, on the expanded post issue capital of Rs 66.66cr, which is very expensive. More importantly, nearly 70% of the IPO funds are intended to be utilized for working capital needs. For branch expansion the company has earmarked just Rs 19cr. Led by ONGC, Coal India, HINDALCO, DLF and Hero Motors, sensex gained 207 points. Except RIL, M&M and Maruti, all other stocks closed in the green. The volume too picked up compared to previous trading days. TATA Steel plans Rs 3000cr bond issue. 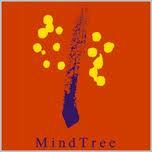 MindTree jumps 8%, post FY12 results. Power Finance plans $ 2 billion overseas borrowing. FM: Post rate cut business sentiment will improve. RBI: Banks exposure to NBFCs cut to 7.5% from 10%. Banks deposits to grow at 16% in FY 13, according to RBI. RBI in its policy review meeting today, cut the repo rate by 50 basis points to 8% and left CRR un changed. This news is positive for rate sensitive segment like banks, auto and metals. More importantly the move is sentiment boaster for markets. Citigroup Inc today reported 2 per cent drop in net income to USD 2.93 billion for the first three months of 2012 due to decline in investment income from capital markets operations. However, Citigroup's loan book rose by 12 per cent from a year earlier, to USD 514 billion in the quarter. MindTree posted a 115.3% jump in net profit for the fourth quarter ended March 2012. The profit during the quarter stood Rs 68.9 crore compared to Rs 32 crore during the same period last year. Revenue for Q 4 was up by 34% to Rs 525.7 crore, as against revenue of Rs 391.2 crore in the same period previous fiscal. For the FY12, the company registered a net profit increase of 115% to Rs 218.5 crore. While revenue for the full year ended March 2012 stood at Rs 1915.2 crore. The company declared a final dividend of Rs 1.50 per share. Stocks in U K and U S ended higher on Monday. SGX NIFTY was up 50 points, in the early trade. Markets movements here depends on RBI's policy initiative, which is expected, before noon. Bankers and Industrialist are expecting 0.50-0.75 points rate cut. CRISIL's consolidated total income for the quarter rose by 28.5 per cent to Rs 229.74 crore from Rs 178.77 crore in January-March 2011. The board declared an interim dividend of Rs 3 per share (of face value Rs 1 each). It also announced a one-time special dividend for Rs 3 per share on the eve of its silver jubilee year. The Carlyle Group expects the price to its initial public offering at $23 to $25 a share, valuing the private equity firm at up to $7.6 billion. Carlyle is entering the markets at a mixed time for IPO companies. 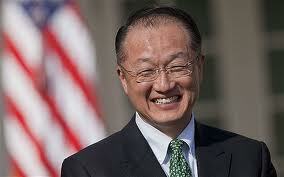 The World Bank named its next president - Jim Yong Kim, a global health expert and the president of Dartmouth College, a widely expected appointment that continues the longstanding tradition of an American leading the Washington-based development institution. The bank’s 25-member executive board decision was no surprise. The board for the first time, considered more than one candidate for the job, a reflection of the increasing clout of emerging market nations on the global stage. Slow down in US and Europe has affected the Gems and Jewellery business too. According to GJEPC, Gems and jewellery exports dipped marginally to US$42.84 billion in 2011-12 owing to weak demand in western markets like the US and Europe. The exports were US$42.99 billion in the previous year. U S Federal Communications Commission imposed the fine on Google, saying that Google had collected personal information without permission and had then deliberately not cooperated with the FCC’s investigation. Google refused to identify any employees or produce any e-mails. Google Inc has been fined $25,000 for impeding a US investigation. RBI is mulling putting one more break on Gold loan companies. A few months ago RBI barred the associate / group companies from accepting public deposits. Recently RBI issued guide lines restricting the gold loan by these companies to 60% of the value. The grapevine is that now RBI is thinking of issuing directives to gold companies to disburse the big ticket loans only by way of cheques. The newly listed MCX has declared 180% interim dividend, as per the filing with exchanges. Apart from their first match, RCB lost the next 3 matches, hopelessly. RCB lost to KKR, CSK and RR. The matches against KKR and CSK were easily winnable. Against RR they had no chance. Here is why RCB is losing. Too much dependence on Gayle. There are no third and fourth bowlers. Keeping Dilshan out pf playing eleven. There are no true all-rounders in the team. Players seem to be happier enjoying the brand image of their owner than playing to their potentials. The Educational Development Corporation of USA is threatening to break the alliance with Amazon. EDC is fed up with Amazon’s scorched-earth tactics and announced that it would remove all its titles from the retailer’s virtual shelves. That eliminated at a stroke $1.5 million in annual sales, a move that could be a significant hit to the 46-year-old EDC’s bottom line. Amazon is squeezing everyone out of business, according to EDC’s chief executive.